Location : Shree Chhatrapati Shivaji Sports Complex, Balewadi, Pune. Registration : By Invitaion Only. Creative minds, who are game-changers, are evenly distributed in all societies irrespective of caste, creed, race, geographic location, and socio-economic status. On that count, a tribal or an elite school would have the same proportion of talented/creative minds. Eklavya is one such iconic figure of the former. There are thousands of Eklavya’s in India. To bring out their full potential and broaden intellectual horizon, they need to be nurtured right from childhood. Whereas considerable resources are spent on the elite schools, tribals are still highly neglected and marginalized. With this in mind, the Academy and Tribal Training and Research Institute, Pune have been running a number of programs to nurture science talent. The programs are sponsored by the Tribal Development Commissionerate, Nashik from the last few years. 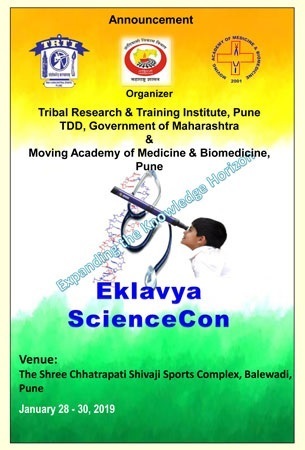 As an extension of the programs, it is planned to host jointly the first “Eklavya ScienceCon” (Science conference for Eklavya School Students) on January 28-30, 2019 in The Shree Chhatrapati Shivaji Sports Complex, Balewadi, Pune. The workshop is aimed at strengthening research capabilities of the participants. Priority will be given to the staff of Multi- Disciplinary Research Institutes (MRUs). It is hoped, that the participating MRUs will help the Academy to conduct similar workshops for the medical colleges in their region. 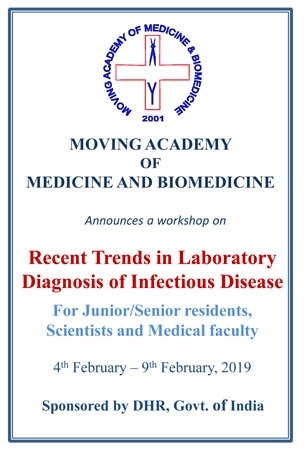 This module is aimed to give the participants an in-depth knowledge of the routine molecular biology techniques. The three days module trains the participants in performing experiments right from extraction of nucleic acid to its application using PCR. 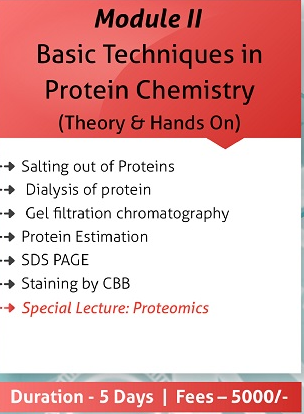 A five days comprehensive module for handling proteins and its characterisation will help the participants to learn basic techniques in protein chemistry. Useful for candidates seeking opportunities in healthcare and pharmaceutical industries, proteomics and research. Polymerase chain reaction has revolutionized the way scientists and industries work in the field of life sciences and medicine. 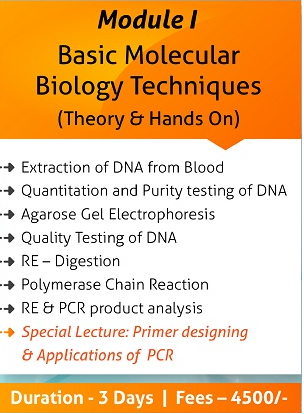 This exclusive module dedicated for PCR will give in-depth knowledge about the working, handling and types of PCR. 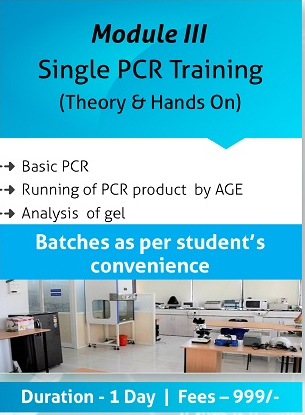 Participants will also learn about primer designing and trouble shooting in PCR.